Chronicle Books is giving away $500 worth of books to one blogger who posts a list of books that he/she wants to haul in. And, they are giving away that same set of books (that's right, $500 worth of books) to one person who comments on the winning blog. Winners will be announced on December 13th. Needless to say, I was thrilled to learn about this contest and I immediately began searching their website to come up with books that appeal to me and my family. It wasn't easy because Chronicle has a huge amount of awesome books, but I think I've come up with a great assortment. I hope you will agree! Summary: What's cuter than a cupcake? A cake pop, of course! Wildly popular blogger Bakerella (aka Angie Dudley) has turned cake pops into an international sensation! Cute little cakes on a stick from decorated balls to more ambitious shapes such as baby chicks, ice cream cones, and even cupcakes these adorable creations are the perfect alternative to cake at any party or get-together. Martha Stewart loved the cupcake pops so much she had Bakerella appear on her show to demonstrate making them. Now Angie makes it easy and fun to recreate these amazing treats right at home with clear step-by-step instructions and photos of more than 40 featured projects, as well as clever tips for presentation, decorating, dipping, coloring and melting chocolate, and much more. 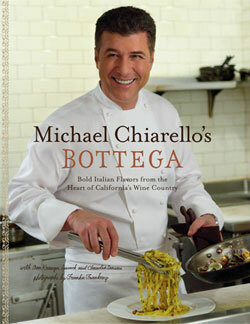 Summary: Michael Chiarello's fans have watched him on Top Chef Masters, the Food Network, and PBS. He's an Emmy Award winner and award-winning author, with combined cookbook sales of over 400,000 copies. Chiarello returns to the kitchen with a cookbook inspired by the soulful Southern Italian-style menu at his new Napa Valley restaurant, Bottega. It's rich with more than 120 photographs that convey the Bottega experience and 100 amazing recipes for Southern Italian specialties, which, with signature Chiarello style, are designed for the home cook to have as much easy joy cooking as eating. Bottega is Michael Chiarello at his best. Summary: Every day 1,500 Bostonians can't resist buying sweet, simple treats such as Homemade Pop-Tarts, from an alumna of Harvard with a degree in economics. From Brioche au Chocolat and Lemon Raspberry Cake to perfect croissants, Flour Bakery-owner Joanne Chang's repertoire of baked goods is deep and satisfying. While at Harvard she discovered that nothing made her happier than baking cookies – leading her on a path that eventually resulted in a sticky bun triumph over Bobby Flay on the Food Network's Throwdown. Almost 150 Flour recipes such as Milky Way Tart and Dried Fruit Focaccia are included, plus Joanne's essential baking tips, making this mouthwatering collection an accessible, instant classic cookbook for the home baker. Summary: Cute-as-can-be, buttery macarons capture the whimsy and elegance of Paris, where they're traditionally served with tea or wrapped up in ribbon to give as a gift. But the secrets of making perfect macarons have long eluded home bakers—until now! In I Love Macarons, renowned Japanese pastry-maker Hisako Ogita brings her extensive experience to the art of baking macarons with fully illustrated foolproof step-by-step instructions. This charmingly designed guide is sure to have pastry lovers everywhere whipping up these colorful confections at home, using ordinary baking equipment and simple ingredients to create myriad flavors of perfection. Summary: For the home or professional bread-maker, this is the book of the season. It comes from a man many consider to be the best bread baker in the United States: Chad Robertson, co-owner of Tartine Bakery in San Francisco, a city that knows its bread. To Chad, bread is the foundation of a meal, the center of daily life, and each loaf tells the story of the baker who shaped it. He developed his unique bread over two decades of apprenticeship with the finest artisan bakers in France and the United States, as well as experimentation in his own ovens. Readers will be astonished at how elemental it is. A hundred photographs from years of testing, teaching, and recipe development provide step-by-step inspiration, while additional recipes provide inspiration for using up every delicious morsel. Summary: Is it a cake? Is it a cookie? With such deliciously soft and sweet cream-filled snacks, does it matter? The Internet is abuzz with recipes and stories of whoopie pie folklore, while customers everywhere are descending on bakeries in droves demanding these delectable treats. 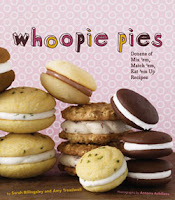 This adorable volume—the only cookbook devoted entirely to whoopie pies—features more than 40 mix-and-match recipes, including the classic chocolate with marshmallow cream and a range of bright flavor combinations such as red velvet, green tea, pumpkin with a tangy cream cheese filling, and oatmeal with, yes, maple-bacon buttercream. With a puffy cover as soft as cake, plenty of color photos and hand-drawn illustrations, dozens of DIY decorating instructions, fun facts and baking tips, Whoopie Pies will make a welcome addition to any baker's bookshelf. Summary: This kit includes a helpful booklet with easy-to-follow instructions for completing six unique sock patterns, from simple to complex, plus a set of five double-pointed needles and enough yarn to create one pair of socks. Patterns include a basic unisex design, cheerleader peds with pom poms, socks for toddlers, chunky slipper socks, and two knee-high stockings. Summary: If you're a fan of amigurumi, you already know that super-sweet crocheted bunnies and kitties and pandas have taken the indie craft world by storm. Well, the dolls in Creepy Cute Crochet eat your typical amigurumi for breakfast. This unique craft book contains more than 25 patterns for zombies, ninjas, Vikings, vampires, aliens, robots, and even Death himself. Each easy-to-follow pattern is presented with step-by-step diagrams, hilarious commentary, and full-color photographs of the creatures in their natural environments. Plus each pattern is ranked according to difficulty so that even beginners can share in the fun. Summary: Any Star Wars fan can mimic Darth Vader's voice or Chewbacca's roar with ease. But how many of them would be able to identify the lion's roar used in the sound of the Millenium Falcon's engine? In this aurally astonishing and visually engaging book, New York Times best-selling author J. W. Rinzler reveals the illuminating history of the sounds that make the Star Wars universe so believable, as recounted by their creator, legendary sound designer Ben Burtt. An attached sound module with an exterior speaker and headphone jack lets readers listen to more than 250 unique sound effects, and more than 300 photographs illustrate the epic's many memorable scenes. From the first films to the animated Star Wars: The Clone Wars series, The Sounds of Star Wars is Star Wars as you've never heard it before. Summary: Even the most die-hard Star Wars fans will find themselves challenged by this entertaining new approach to the details of the saga. This fourth volume in the popular, addictive Obsessed With series again includes an innovative scoring module right in the book, so a player can select questions by number or at random and keep score. 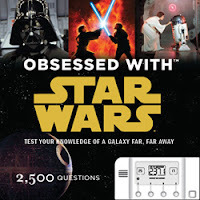 With 2,500 original questions covering little known facts, entertaining quotes, and tough trivia from all six episodes, Obsessed With Star Wars will have readers dominating the galaxy in no time. 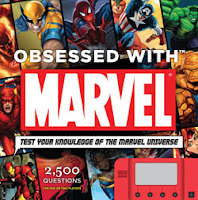 Summary: This latest title in the wildly successful Obsessed With series is the Marvel fanatic's ultimate challenge. More than just a trivia book, this interactive game includes an electronic scoring module that allows readers to quiz themselves or compete against a friend. With 2,500 questions covering the expansive Marvel Universe, it's easy to test who really knows the difference between Spider-Man and Spider-Man 2099. Featuring every character from the original Fantastic Four to Nick Fury's Howling Commandos to The Incredible Hulk, tidbits on legendary Marvel developers and artists, and artwork from the classic comics, Obsessed With Marvel is a treat for every comic book fan. Summary: Obsessed with BASEBALL explores little known facts, fascinating anecdotes, and great trivia of America's national pastime. 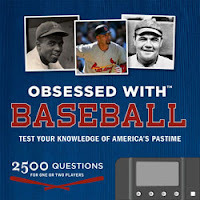 This comprehensive yet compact book offers more than 2,500 questions to engage and challenge even the greatest baseball buff. In addition, each spread features a lengthier question that goes deep into the subject. What makes this package truly different from any other trivia book is the computerized module embedded in a corner of the book's cover, which allows readers to test themselves or compete against a friend. Play ball! The Baseball Guys include the following experts: James Buckley Jr., author of more than 20 books on baseball, including The Visual Dictionary of Baseball; David Fischer, author of Sports of the Times and The 50 Coolest Jobs in Sports; and Jim Gigliotti veteran sports writer and editor, and coauthor of Baseball: A Celebration! Summary: Fantastic illustrations with a fresh, contemporary look enrich this debut novel about a 10-year-old aspiring artist stuck living with an aunt, uncle, and cousin who clearly don't recognize her genius. A humorous and heartfelt reminder that "a brilliant artist is never afraid," this book reveals that sometimes our greatest masterpieces are the bonds we unexpectedly forge with the people in our lives. Summary: This is no ordinary Nutcracker! This time, it's Fritz's story. The traditional Nutcracker tale gets turned on its head in this rollicking Christmas adventure, based on the hit musical A Nutty Nutcracker Christmas by the popular family music rock star Ralph Covert and playwright G. Riley Mills. Includes a bonus CD of songs from the musical, featuring a read-aloud track with the music and story woven together. Summary: Filled with vibrant illustrations, search-and-find challenges, and 46 reusable stickers, this oversized book is a spectacular play space for future world travelers. And Mouk is the perfect tour guide! His journey takes him all around the world, and at every stop along the way his animal friends share fascinating tidbits about local customs. Young adventure-seekers will be amazed and amused by something new with every reading. Summary: Nothing is more enticing to a baby than another baby. Now in a bigger sizeand with brand-new vibrantly colored backgrounds, Chronicle's groundbreaking board book is better than ever! 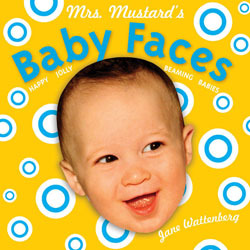 The 12 pictures of darling baby faces help infants and toddlers explore a complicated range of emotions by showing both happy, smiling babies and cranky, crying babies. The book opens accordion style, so it can stand up in a crib or on the floor to amuse even the youngest infant. Summary: Every fashionista will covet this hardcover journal with vibrant printed fabric cover featuring one of Anna Sui's exquisite textile patterns. Summary: These colorful notebooks come packaged in sets of two, with a lighter and darker shade to suit your mood and are ideal for everyday notes and thoughts. The last 16 pages are detachable. Whew -- $498.26!!! Now that's a lot of books! To become eligible to win my wishlist of Chronicle books, just leave a comment on this post telling me which book you are most excited about. Don't forget to leave a valid email address.You can read all the official rules here! 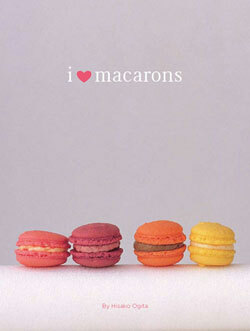 I am most excited about I Love Macarons! I love your list of books. Lots of great cookbooks, and knitting books, and beautiful journals. A girl can never have enough journals. My goodness, that's a lot of books! What fun. I'd love to have the Star Wars book for my son. Great list! I can't believe the macaroon and whoopie pie cookbooks!! I'm really excited about Tartine Bread! I've been trying my hand at bread baking since early summer and would love to have this one to try to improve my product. I saw this one in the bookstore and it is one gorgeous cookbook! Believe it or not, I'm excited about the moleskin notebook. You can't have enough of them. I love writing in my notebooks. I wish I could just scan them instead of blogging! I want the knitting books and the cooking books! I could do without the Star Wars though! What a great give-away! I love the diversity of your list -- and the fact that you have a journal included. Now I'm off to check out the website for myself. As you might imagine, I am most excited about the Cake Pops book! I already have the whoopie pie book - which I absolutely love. Of those other books - I think I would love Flour. I'm most anxious about the Cake Pops, I'd love to know how to make them. Great list. I want Cakepops! wow what am I not excited about. 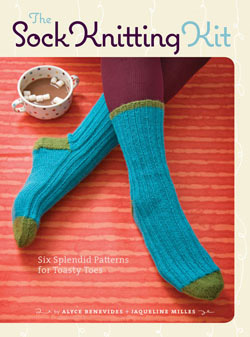 I love to cook and try out new recipes but I also love to knit and I love new patterns books. 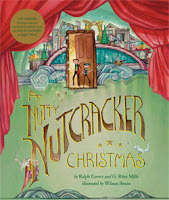 but I think actually my favorite would be the Nutcracker book for the Children. It was my favorite story about the holidays. I'm getting hungry just looking at your list! My list is up at Debbie's World of Books. 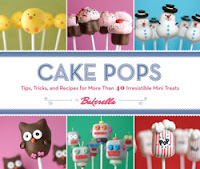 I love Bakerella and have been wanting her Cake Pops book. You picked some awesome books, Julie! 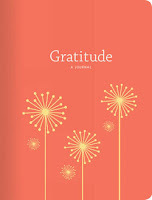 I would love the Gratitude book but all of the books look amazing!!! My whole family would love "The Sounds of Star Wars". Anything Star Wars is great. I like all your books. Good luck! 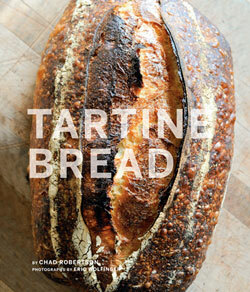 I would have to say that Tartine and Flour excite me the most. love your list!! check out mine if you get a chance! good luck!!! The cookbooks! They look beautiful! wonderfullllllll! OMG! I want to get all of them(cookbooks) :) cake pops,tartine bread,i love macarons,flour..great great! 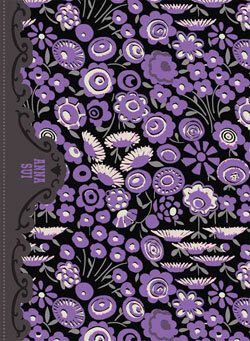 I'm most excited about the Anna Sui Calico Cabaret Journal :) *Thanks* for the giveaway! Great list of books. My son would love the star wars books. 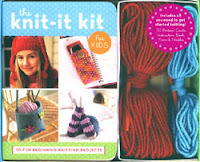 My daughter would love the crafty books. I love the journals. The Anna Sui is gorgeous, I grew up with Nancy Drew, Make Your Own Damn Dinner is hilarious, & the Gratitude cover is beautiful. I love your list - we seem to have similar taste. And so do our husbands! I would love to win them all but I would absolutely love to have the "ANNA SUI CALICO CABARET JOURNAL". I love writing in journals and this one is gorgeous. these are wonderful!! I'd love Cake Pops for one thing. Great list of books! I really want the cake pops book. You have a lot of the same ones that I had on my list-- the cooking books look really good! Several of the cookbooks look great, but I love the Nancy Drew notepad/journal! How cool! Actually, I'm most excited about the Moleskines! I LOVE Moleskines . . . would love the purple ones. Yum. I've never had a macaron but I want to try one! Thanks for sharing your list. I think it would be nice to have Cake Pops or any of the journals. Cool List! Love the Star Wars books! I have been wanting to learn this skill forever. This would be perfect! Thanks for the great list of books. What an amazing contest and an amazing list! :) I really hope we win! So many awesome books to choose from, which is usually the problem with books so many you want but can't fit in the budget. But something like this where someone else is paying well that's just a gift from the book gods. Good luck. Wow, what a great giveaway. I actually gave CREEPY CUTE CROCHET as a gift to another blogger, Naida! She loved it and started creating the creepy cuties right away! I love the cookbooks you selected...what a fun idea. I love the Nancy Drew notepad! I need new books esp. some cookbooks!!! I adore your list--chock full of crafty goodness, my daughter would freak over the Star Wars book! I love THE WORST-CASE SCENARIO SURVIVAL HANDBOOK JUNIOR BOXED SET. Must... have... new... books... love your list! I'm a sucker for a good cookbook and I haven't found one yet I didn't like. Great list. This is such a fantastic giveaway. And you've got some great choices. I so love your list! You've got some rockin' good choices! Good luck! I love books and these are all great. 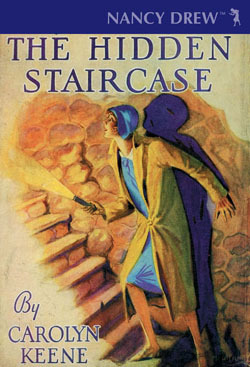 I love the Nancy Drew Journal. Great selection! I am especially interested in The Sounds of Star Wars for my son. I am most excited about the Obsessed With Marvel for my oldest son and all the cooking books for my sister, since I have my sister's name for Christmas and she loves to cook! I'm so sad I missed Mrs. Mustard's Baby Faces for my list! 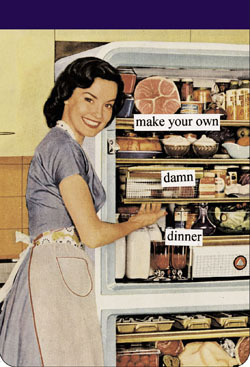 And that Make Your Own Damn Dinner notepad is hilarious. Good luck! 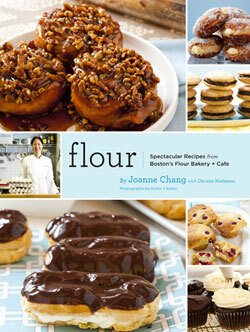 I would love all of the books, but I am most excited about Flour. My cake pops never turn out as pretty as Bakearellas. Good luck! Great list-I'm particularly excited about Flour. I love Chronicle - this is such a generous giveaway. Thanks for the entry. I love your list! I hope you win!!! Excellent selections! I see some great gift potential here too! 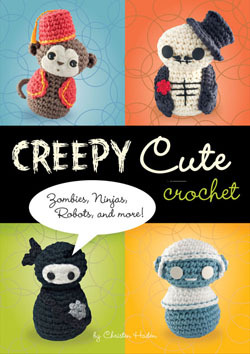 I love the creepy crochet book- adorable. Nice list! Wouldn't it be amazing to win? I would LOVE one of the food books! What a lovely set of books! Those cookbooks look yummy and who can ever have enough journals? LOL - MAKE YOUR OWN DAMN DINNER NOTEPAD - that's a hoot. i would pick it too. Love the variety.. you picked some of the same cookbooks that I did!! All the books look great, but "Cake Pops" looks like it would be really, really cute! I love your list of books. Lots of great cookbooks, and knitting books, and beautiful journals. What a neat idea. Count me in! kinda confused do i just leave a comment for a chance to win? Super fun list! Good luck! 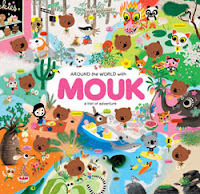 Would love to get Around the World with Mouk for my daughter! Ooh! Creepy Cute Crochet looks like it would be my favorite book! It would be the perfect incentive for me to try amigurumi, and I love crafts with a sense of humor! I Love Macroons is calling my name! What a great giveaway! Great selection of books, would enjoy the cook books, woopie pies, and I would lik vto learn how to knit socks. Isn't this so much fun?! Good luck! A wonderful list. Very similar to the ones I selected See My List Here Really delightful--I would absolutely love to win either one. I Hope I win. I am anew follow and I am going to be adding it to my Blog. OMG LOVE your list. All your foodies are on my list too. Great choices. My kids would love the other books. Love the books on your list! 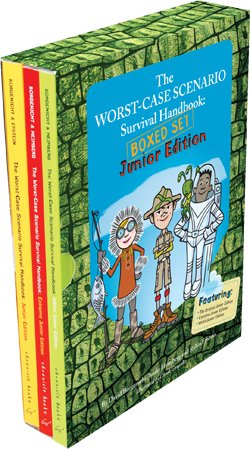 I would love The Worst-Case Scenario Survival Handbook Junior Boxed Set for my grandson, Adam. The cookbooks would be for me. i'm so glad you picked so many cook books! i don't cook that well (i can bake pretty well) but absolutely love to to collect cookbooks. love the michael chiarello one! Your selection is making me quite hungry! Hope you win and get to enjoy them too. Your book selections are fabulous! This is an awesome giveaway. My favorite book is WHOOPIE PIES. My oldest son would love the baseball book! There is definitely something in that list for everyone in our family! Maple bacon buttercream?!? I've got to read the Whoopie Pie book! I am desperate to try the recipes in Flour. They look great! Your list has something for each member of the family--Christmas presents anyone? Hope we are the winners! I think your choices are the ones I would have made! Well done! 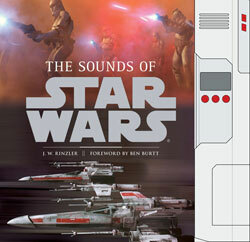 Sounds of Star Wars is my pick, although I personally am more interested in the cookbooks. My youngest son is 7 and a total Star Wars nut. Thanks for your recommendations! Good luck in the contest. Love the list you have and thank you for the chance to win with you. I think you might be my long lost sister :) Love your selection and hope we win!! I like your list! Check out mine HERE! It's a toss-up between Flour and the Sock Knitting Kit! Found the perfect x-mas gift for my father-in-law, "Obesessed with Baseball". Thank YOu & Happy Haulidays. I most excited about the Graditude journal and the children books! I would love the Tartine Bread book. great list - any craft/food book would make me happy. I love this giveaway! I'm a huge bookworm, so this is like a christmas miracle! ah this contest is too amazing! :D good luck! Good choice on Star Wars. Good Luck! A delicious selection. Hope we win. Great list. Who can refuse a Gratitude Journal? droool over your list of books - esp the blank journals and the kids books, as well as the star wars stuff for my husband. Thanks and good luck! Great list - I hope we win! 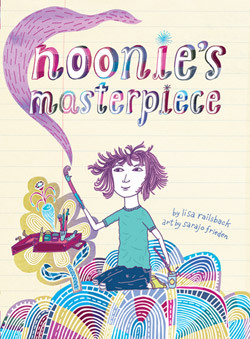 Wow, I forgot NOONIE'S MASTERPIECE on my list. Nice selection of books here. What fun! Isn't this the coolest contest? I love the cookbooks. Count me in! Fabulous assortment of books. Someone is going to hit the jackpot!!! I'd love Creepy Cute Crochet. Your cookbook choices are great too! I better start saving, if we don't win I will have to do some shopping--great choices. Cool list. Do the cookbooks come with cooks? All I want for the holidays is for everyone to read ROOM by Emma Donahue! What a great list - I have a few of these on my list, and already own a few of the crafty ones. Don't know how I missed the purple moleskine though! Great list of books - count me in. Thanks. Fabulous choices, especially the macaroons book! I love this list, as it has something for everyone! My BF would love the Star Wars books too! Good luck!